We know, city breaks don’t exactly scream child-friendly but there’s so much good stuff going on in Manchester for families. From go karting to animal adventures and everything in between, we’ve rounded up the best activities for families in the area. 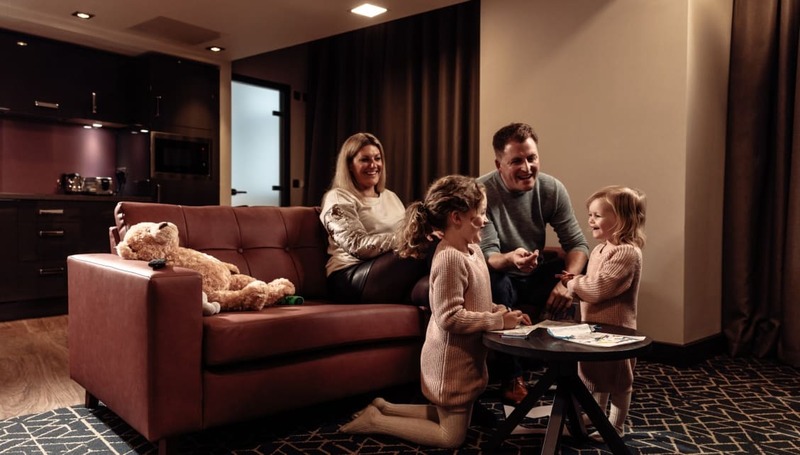 If you’re staying at Roomzzz Manchester City or Corn Exchange with the kids anytime soon, get some inspiration for your trip with our handy guide. One of Manchester’s most awesome indoor adventures is just a 10 minute walk from our Manchester City Corn Exchange aparthotel. Let us introduce you to KICKair. From the outside it looks like a boring old warehouse, but on the inside you’re faced with a huge expanse of trampolines, inflatable assault courses, climbing walls and more, as far as your eye can see. We won’t beat about the bush, you’re going to enjoy jumping, climbing and scrambling around just as much as the kids. This is action-packed, adrenaline-fuelled fun at its best! For five and ups there’s the air zone, with trampolines, ninja courses and battle beams, and there’s a kick zone for football lovers too. And for under-fives, there’s a cracking multi-level soft play area. It’s not the cheapest family activity in the city but it’s definitely worth every penny (especially with the added assurance that the kids will sleep all night through afterwards!). The North West’s largest indoor freestyle park! Discover trampolining, indoor rock climbing, warrior courses and jump basketball at KICKair! Hop in the car and head to Dunham Massey, a stunning 3,000 acre National Trust estate. Explore an ancient deer park and see how many fallow deer you can spot. Step inside a Georgian mansion, packed to the rafters with artefacts collected by the family who lived there and discover 400 years of history. And then run wild in the gardens – follow winding paths, see what’s growing in the vegetable patch and pop your head into the old orangery. There are loads of extra activities for families to keep long walk moans and groans at bay. Grab some food from the shop to feed the ducks on the lake, make a den in the north park log pile, pick up a leaflet and try some of the ’50 things to do before you’re 11 and ¾’ activities and during the school holidays get involved in their one off events. Did you know that Manchester is home to the longest real snow slope in the UK? There’s loads of snow-filled excitement going on for the whole family to get involved in at Chill Factore, near the Trafford Centre. Learn to ski or snowboard with a group lesson or have some good old fashioned fun in the snow park. The snow park is the place to slip, slide and be silly on the downhill donuts and several other twisty-turny slides. There’s mini moose land for the little ones, with smaller snow slides and plenty of places to play. And as for older daredevils, they can try more extreme activities like airboarding and snowscooting (apparently that’s a cross between a snowboard and a BMX – sign us up!). Grab your bunch of mini spies and get clue busting with this intriguing trail which will lead you around the Castlefield area of Manchester. The mission is to solve the clues and crack a code which will put a stop to the evil plans of a local mill owner. Download your trail here, and then head to the Museum of Science and Industry to get started. 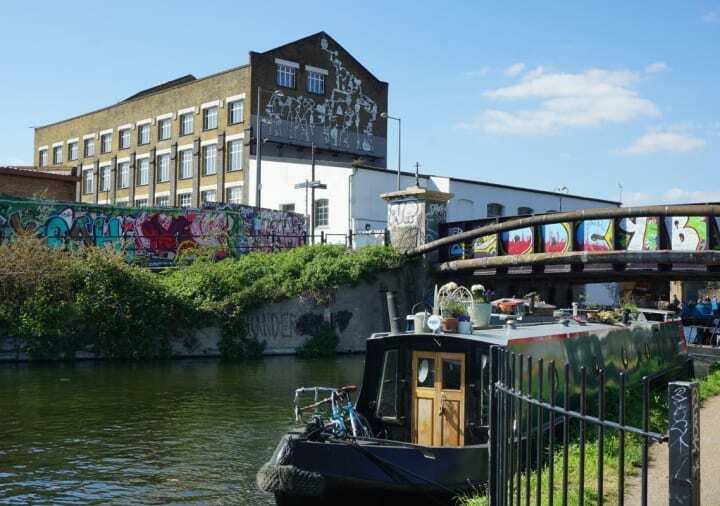 Along the way you’ll discover the place where Manchester began, you’ll walk along a Roman road, explore Bridgewater Canal and see landmarks like the historic Castlefield Coal Wharf. The trail is 1.3 miles long, and is perfect for children aged six and up and Jame Bond wannabes. So what are you waiting for secret agent? Lewis Hamilton fans are in for a treat because there’s a race track underneath the Manchester Arena car park. Find your competitive streak and take the lift down to TeamSport Go Karting. Underground you can whizz around 550 meters of track, with 15 testing bends to tackle, flyovers, different levels – the lot! Go head to head with the rest of the family or just have a laugh trying not to crash into each other. Your go kart can do up to 40mph and the average lap time is 45 seconds – are you up for the challenge? Top tip: if you’re secretly planning to thrash the whole family, you might want to check out the track tips before you go. Have a look, here, and if anyone asks…you didn’t get this from us. This activity is suitable for older children aged eight and up. Don’t tell everyone but the best park in Manchester is just a short 14 minute car journey or bus ride from Roomzzz Manchester City. Alexandra Park is so family-friendly it’s unreal, there are two play areas, a big duck pond, a cafe, and most importantly: loads of green space to make the most of. You could easily spend all day here – its 60 acres! Recent restoration work has brought the park back to its former Victorian glory. Sweeping paths will take you past the original park lodge, a cast-iron drinking fountain and other historic features. There are formal planted areas, lime tree walk ways, benches to sit on and wooded areas to explore. The park looks particularly beautiful in autumn colour. We can’t think of a better place to get the kids out in the fresh air. Got a few David Attenborough fans in the family? Then it’s Knowsley Safari for you! Head out on the five mile drive safari to see zebras, lions, camels, and all sorts of other animals form the comfort of your car. You’ll pass through the African savannah and woodland, south and east Asia, and Eurasia. And don’t worry, there’s a car friendly route if you’d like to see the baboons and go home with your windscreen wipers intact. There’s lots to explore on foot too! Head to wolf country to see the Iberian wolves, go in search of Amur tigers or take the wild trail to see some native wildlife. Catch talks with keepers and displays throughout the day (the cheeky sea lions are our favourites) and don’t miss the fairground rides for an added fun factor. It’s going to be a busy weekend here at the safari so make sure you get prepared for your adventure with these tips: Arrive early! The Amur Tiger Trail is open to explore from 9.30am and the safari drive now opens at 10am! Did you know each zone on the safari drive is a loop! So avoid queuing by using free lanes and loop back around! Don’t forget you can head around the safari drive as many times as you like, so head back at the end of the day if you missed something Get all the day’s animal display and animal talk times on our app so you can plan your day Pick up a guide book at the gate to find pictures, puzzles and secret added extras Head down to wolf country to enjoy a peaceful woodland walk. Can you spot our Iberian wolves! Ready to make some amazing Manchester memories with the family? Check availability at our Manchester aparthotels, here.